A party of Acastas, whose names will be kept from my log entries until after the mission is concluded, was rowed ashore this morning in the early hours in an attempt to avoid detection by the local populous. As we grew closer to the coast in our long boat we suspect that a small boat of local fishermen may have seen us as we slipped through the water in the fore-dawn darkness, but it is difficult to be certain, and my vision in that dim light is not what I would like it to be. 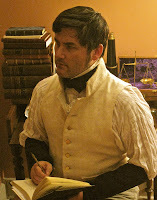 We have been given another mission to retrieve stolen documents from the hands of an American Spy known to be in the vicinity of New Boston. It is believed that the spy is in the area where the annual fair takes place. Once we arrive in the area, our task will be to set up camp and conduct an investigation to discover the identity of the American Spy and recover the stolen documents. We are currently making our way inland toward New Boston as quickly as we can. 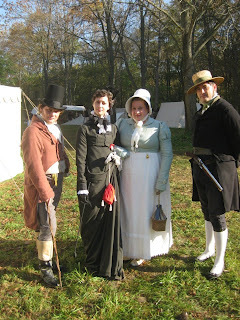 We are a larger party than on previous operations of this sort, as the area of New Boston currently houses large encampments of American Militiamen and Army troops. There are several immediate disadvantages that spring to mind in this current mission as opposed to a similar mission undertaken at Mississinewa last year. Firstly, there is a distinct lack of locally camped English forces at New Boston to aid in our efforts. At Mississinewa, there was a great encampment of British soldiers, a force at least equal in size to the Americans there. At New Boston there is the American Militia encamped on the north end of the fairgrounds and the American Army encamped at the south. This coupled by the patrols of the local Constable(s), means that the Acastas will be hopelessly outnumbered by enemy forces. New Boston is not completely without allies, there is a fairly sized Indian encampment that may be sympathetic to our cause. Another disadvantage that comes to mind is the size of the fairgrounds themselves. The Fair at New Boston is much smaller in scale than Mississinewa and will offer fewer places to seek refuge from enemy forces in the event our operation is discovered. A third disadvantage in my own mind is the uneasiness I feel at undertaking such a mission with men I have previously not been in the field with. Operations at sea are one thing, but it is many a sailor that does not function half as well on land. 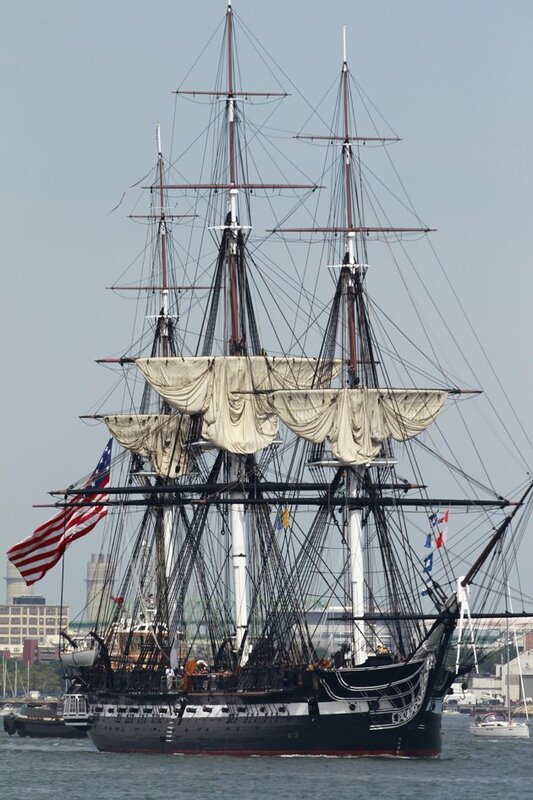 We are scheduled to arrive in the area of New Boston on or about 1st Sept. If you will be in the vicinity of New Boston this coming weekend, you are invited to join us! 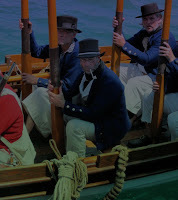 The Fair at New Boston is an official HMS Acasta event this year in honor of the War of 1812. 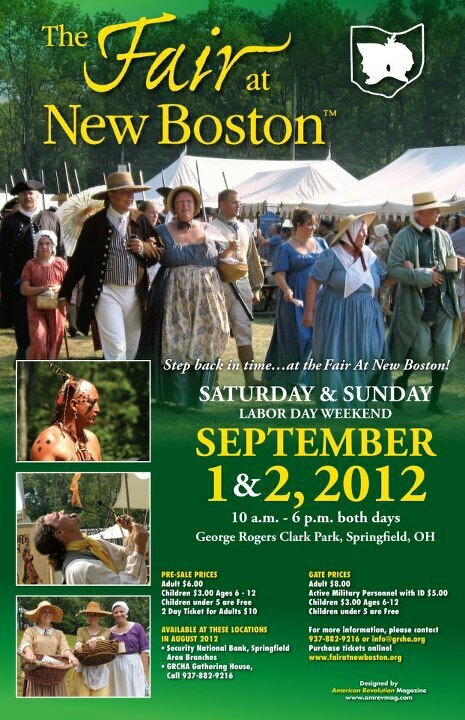 Reenactors and public alike will have a grand time of the Fair! The crew of the Acasta is planning on playing the SPY GAME again at New Boston, and it promises to be great fun. We'll keep our readers updated on the happenings. The analysis of my recent trouble continues. Thus far I have observed that I was rude to the sailors who lined up the main mast for sick call this morning, I was short with Vasserman when he was late with my breakfast, I was sullen whilst instructing my assistants in the airing out of the lower decks. I sulked while observing the drying of the ballast, I huffed and puffed profusely as I made my daily log entries and I was utterly distracted while I paid my scheduled visits to the sick men in their hammocks. I took no joy in the sighting of a distant ship that was thought to be a great potential prize, yet felt the sting of disappointment when we lost sight of her later. What is worse, I believe my troubles have garnered the notice of Captain Freymann and the officers, I am certain I caught them discussing it this morning on the quarterdeck. They seemed embroiled in a great conversation, then as I approached, they all seemed to stop speaking simultaneously in the most awkward fashion. To be sure, they have all been uncommon kind in their attempts to draw me out from my worries. I have declined multiple invitations to dinner and supper in the great cabin with Captain Freymann, instead preferring to dine alone. I have barely played cards with the gentlemen in the wardroom, and when I have, it has only served to annoy me. The companionship of my fellows aboard ship, which I normally find quite enjoyable, has simply not done to suit me of late. For the full article, be sure to have a look over HERE . The Constitution is a 44 gun frigate making her roughly the same size as our beloved Acasta.